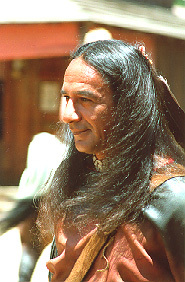 Larry, who portrays Cloud Dancing in "Dr. Quinn, Medicine Woman" is a 17-year veteran in the entertainment industry as an actor, stuntman, translator and technical advisor. He drew on his heritage as an Osage/Cherokee/Lakota Indian to also become an educator, historian and historical consultant. He was one of the eight scholars chosen nationally as a Fellow at the Newberry Library Center for the History of the American Indian, located in Chicago. His concentration of research focused on the plains tribes with an in-depth study on the Osage Nation and the three divisions of "Sioux" as defined by anthropological breakdowns. Studies included language, societal structures, genes, political structures, spirituality and metaphysics, warrior or soldier societies, kinships and extended families. As a result of these studies, curriculum for secondary and college level courses were developed and implemented. Among his many accomplishments, Larry has worked with the Arizona State Department of Education / Division of Indian Education as a consultant. He has also worked in connection with Traditional Tribe Medicine, the Arizona State Department of Alcohol and Drug Abuse and with the Phoenix Indian Medical Center Rehabilitation Program. 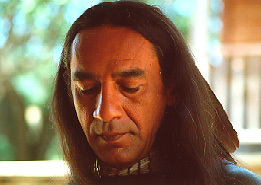 His spiritual beliefs come from the Lakota Pipe Beliefs. The authority from which he speaks is given and directed by the Heyoka [Thunder Cloud] spirits. The altar at which he sits is a Heyoka Altar and the various ceremonies that he leads are by the direction and authority of the Heyokas. For the last 17 years, he has participated in the Wiwang Wacipi [Sun Dance] Ceremony, having been a helper or a leader for 13 of those years. 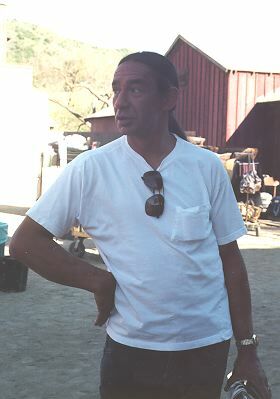 His acting credits include the feature films "Son of the Morning Star," "Quick and the Dead," "Revolution," "Like Father - Like Son" and "Assassination," "Wayne's World II." Among his television credits are the film "Kenny Rogers as 'The Gambler' III --- The Legend Continues" on the CBS Television Network and the series "Life Goes On." He was born and raised in Tawhuska, Okla. and resides in Boulder, Colorado. His birth date is October 2.